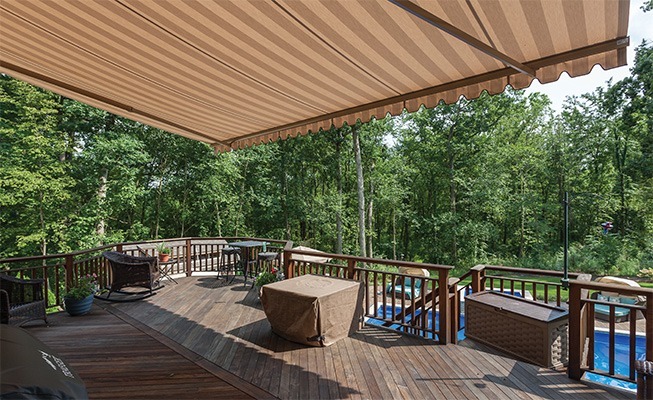 Completely custom made Awnings means we build to fit any size area that you want stay cool in. With more frame colors to choose from than the competition, Sunesta can keep your custom color scheme in mind, giving you a perfect match. We offer the largest selection of fabric patterns and colors to choose from. That is part of why we are #1. Sunesta products come with the nations best warranty on frame, fabric and technology. We put our products through extreme weather tests to ensure your product is the best on the market. We set the standard in white glove customer service. Call us today and see why offer the best experience for customers. Nothing Standard about a Sunesta. You Get The Most Features Period! Smart Fold from Sunesta gives you narrow folding arms to help the most narrow of widths, and large projection. Smart Pitch gives you the power to control arm pitch with precision and ease. Smart Strong gives great strength to awning arms through 4 PVC coated cables. All the way down to covering hardware pieces, we've have you covered with Smart Caps. Smart Mount is our proprietary mounting hardware that keeps your product secure to your home. Smart Lights gives you beautiful LED coverage build right into your awning. 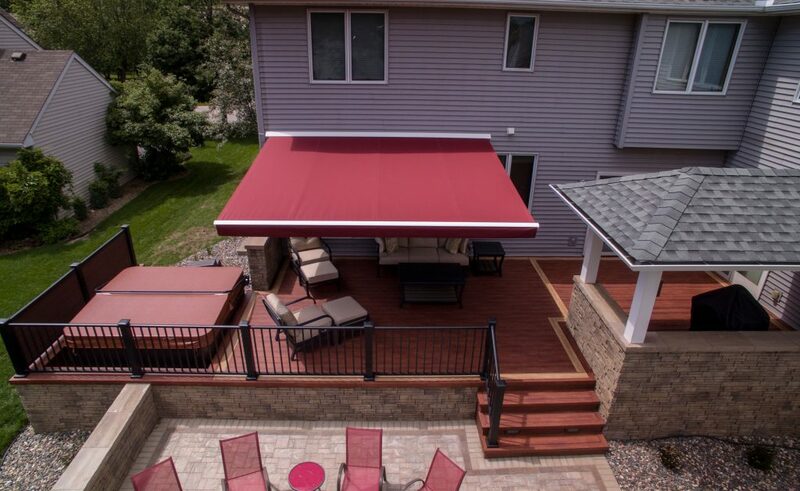 Smart Control gives you wireless remote control power to expand or contract your awning. Smart Hood is a one piece aluminum weather sealing hood, providing the ultimate protection. 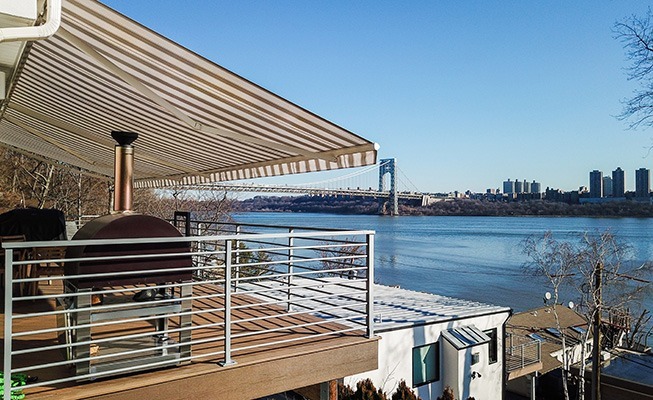 SmartCase gives your Sunesta awning 360 degree protection that is fully enclosed. 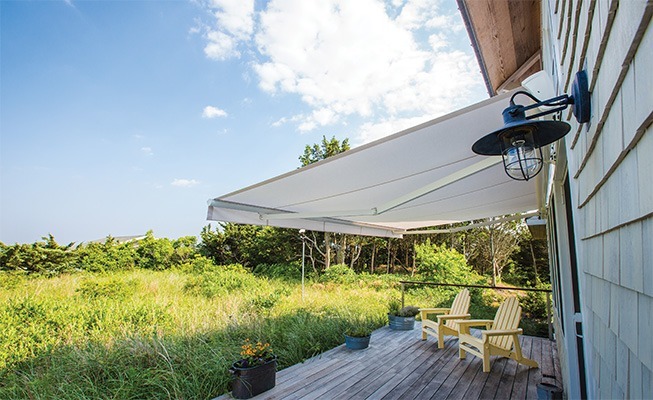 The Smart Drop valance offers greater sun protection at lower sun angles, perfect for early mornings and sunsets. Smart Tilt gives you the option to control the tilt of your retractable awing.